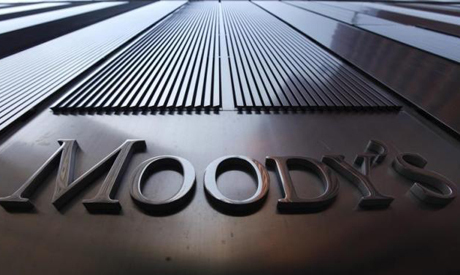 Moody's Investors Service said on Monday that the Egyptian parliament's recent approval of the value-added tax (VAT) is a credit positive despite it being approved at 13 percent instead of the government's recommended 14 percent. Moody's said that the VAT would gradually increase Egypt's low tax receipts and support its fiscal consolidation efforts, as well as unlock external funding from multilateral sources such as the World Bank and African Development Bank. The is part of the government's fiscal reform programme, implemented in July 2014, through which energy subsidies are cut and new taxes are introduced to reduce the country's ballooning budget deficit – estimated at 11.5 percent of GDP in fiscal year 2015/16. The VAT, which will take effect starting 1 October, replacing Egypt's current 10 percent goods and services tax, includes list of 57 exempted goods and services, as opposed to the 52 proposed by the government. The tax will start at a 13 percent rate in the 2016/2017 fiscal year with a high number of exempted goods and services, resulting in a shortfall of EGP 12 billion according to Moody's estimations. This shortfall will be made up in the 2017/2018 fiscal year when the VAT rate increases to 14 percent. However, Moody's fiscal deficit forecast for fiscal year 2016/2017 is 12 percent, compared to the government's target of 9.9 percent. The international investors service says that its forecast took into account potential slippages in revenue targets, reflecting both the difficult implementation of revenue-raising measures and GDP growth projection of 3.5 percent in fiscal year 2016/2017, which is lower than the official growth projection of 4.0 percent. "In addition, along with widely discussed currency devaluation, introducing the VAT will exacerbate already high inflation," Moody's statement read, adding that Egypt’s inflation rate increased to 14.8 percent year on year in June.